Kansas City, MO – In what may be the sale of the greatest number of ski resorts in a single transaction in world history, CNL Lifestyle Properties has finally reached an agreement to sell its 15 ski resorts located across the U.S. and Canada. The deal calls for EPR Properties, based in Kansas City, to purchase Northstar and CNL’s portfolio of waterparks, amusement parks and small family entertainment centers for $456 million, and provide another $244 million of five-year secured debt financing to Och-Ziff Real Estate (OZRE) to purchase 14 other ski resorts from CNL for a total of $374 million. 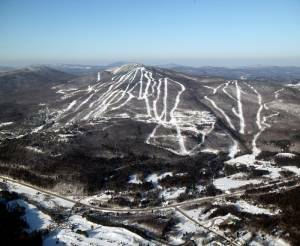 Skiers, however, can expect little change at their favorite CNL-owned resort. CNL is a real estate investment trust (REIT), and after purchasing each resort leased it back to its previous owner to continue to operate the mountain. Revenues are generated forthe REIT through lease payments paid by the resort’s operator. That relationship between owner and operator is not expected to change as a result of this deal as it’s merely the ski area’s ownership that’s changing hands. CNL first put its ski resort portfolio on the market in March 2015. It sold New Hampshire’s Bretton Woods piecemeal to the Omni hotel corporation, but expressed its intent to sell the others as a package. The Board of Trustees of EPR Properties and the Board of Directors of CNL Lifestyle have unanimously approved the Purchase and Sale Agreement and the transaction. This transaction is subject to customary closing conditions, including the approval of the transaction by shareholders holding at least a majority of the shares of common stock of CNL Lifestyle and various third party consents and governmental permits. The sale of Northstar to EPR cannot occur without the sale of the other resorts to OZRE and vice versa. It is anticipated that this transaction will close in early second quarter of 2017.